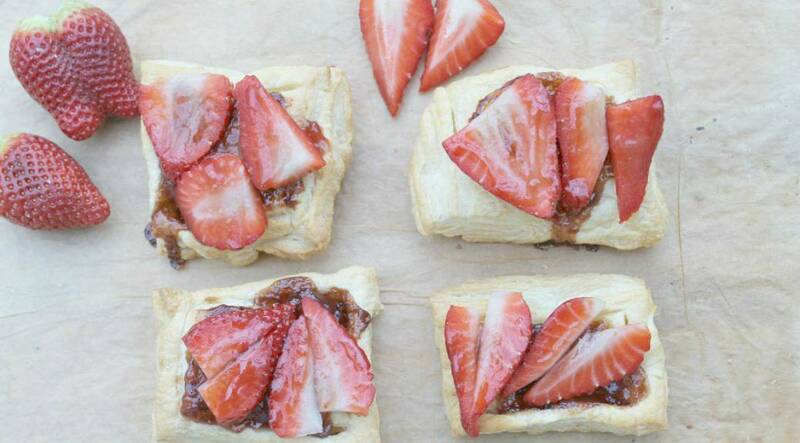 Easy strawberry tarts, perfect for sharing with your Valentine. Quick and oh so simple. 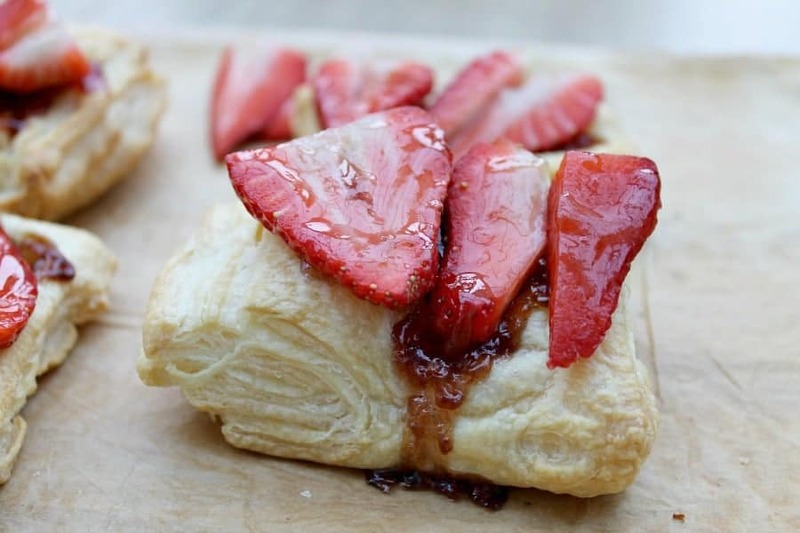 Just grab a sheet of ready-made puff pastry, some jam and strawberries. 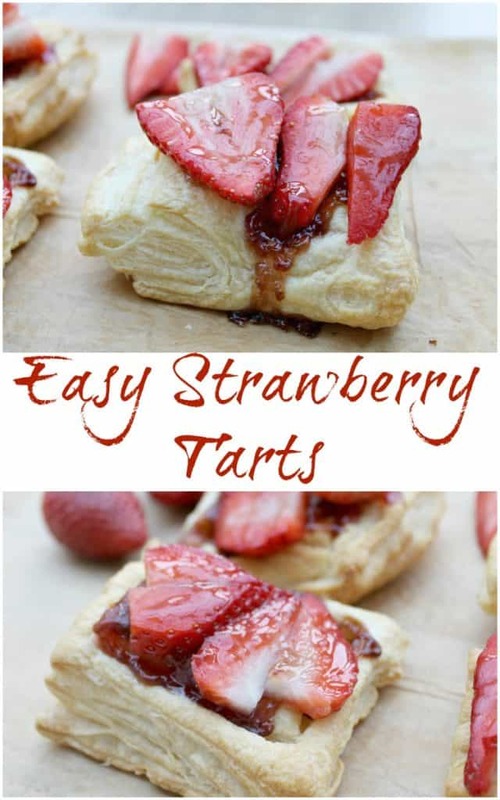 These easy strawberry tarts look and taste great, and you won’t need to spend hours making them, which is perfect for a busy household. My daughters were more interested in the strawberries than the tarts happily, leaving more for us to enjoy. 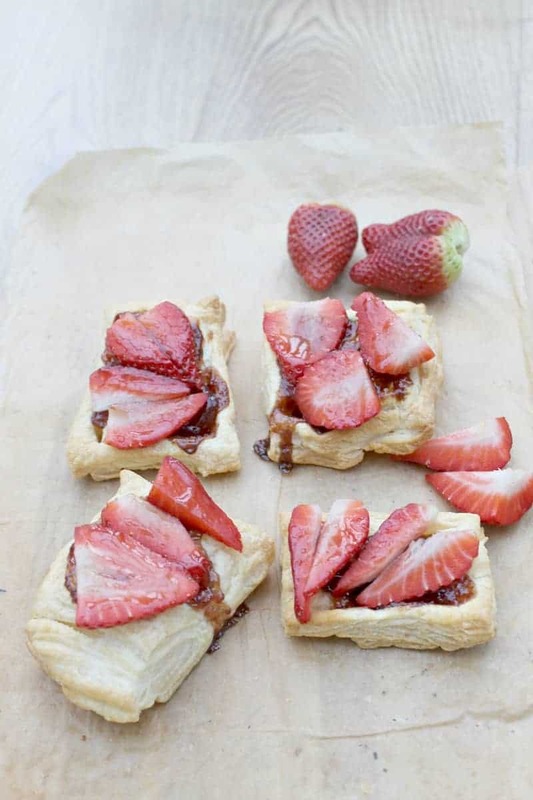 Valentine’s Day isn’t a big deal in our house but we do like to have a dessert, and these tarts would make a simple dessert for any occasion. If you vary the fruit and filling (Nutella anyone?) you can adapt the tarts to anyone’s taste too. 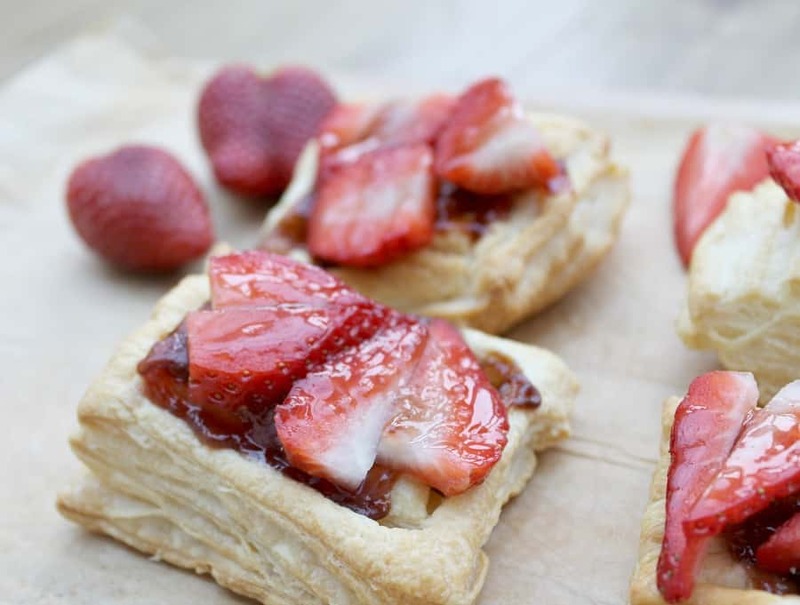 Quick and easy strawberry tarts perfect for your Valentine! This recipe hardly requires instructions, it is so easy as you can see. Cut your pastry sheet into squares, score a line one centimetre from the outside to form an edge. Place one teaspoon of jam in the centre of each square of pastry. Bake in a preheated oven (180 degrees fan) for 15-20 minutes until golden brown. Add one more teaspoon of jam in the centre of each tart and spread it around, then top with sliced strawberries. Warm two tablespoons of jam and drizzle it over the strawberries, to glaze them. Serve immediately, with whipped cream and chocolate drizzle if you like. 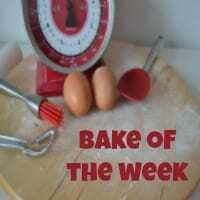 Plum Bakewell Tart – A Traditional British Bake! Love these, so quick and easy to make – but look so good! Perfect dessert for valentines! Yum! Thanks Emily, yes so easy to rustle them up! Lovely idea Lucy – such a quick and simple dessert that any valentine would love!